INDIANAPOLIS -- Another Indianapolis company has "tentatively decided" to move jobs to Monterrey, Mexico. 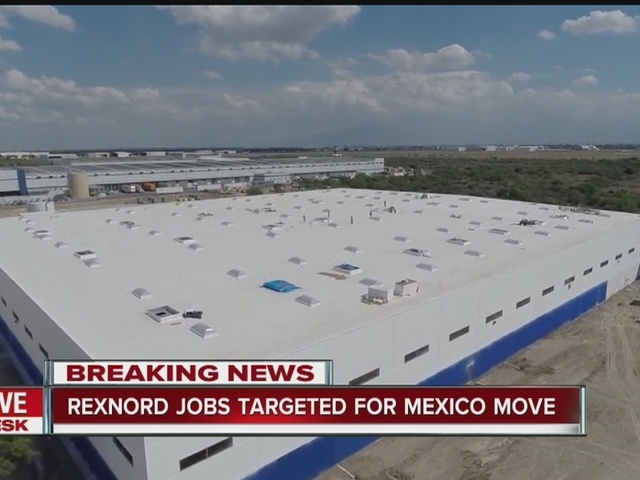 Rexnord Bearings announced to its employees Friday that some jobs were going to be moved out of the country beginning in 2017, according to the union that represents those employees. The move comes just 8 months after Carrier workers found out their jobs were being phased out of an Indianapolis manufacturing plant and instead moved to Carrier's facility in Monterrey. Rexnord's Indianapolis plant is located on the city's west side, at 7641 Rockville Road. The Indy plant makes ball bearings, roller bearings and other associated products. "Our bearings are trusted worldwide in applications ranging from industrial machinery to conveyors, chain and belt drives, and air handling and power transmission," the company's website says. The union says 350 Indianapolis-based employees are affected by the move, which will happen between April and June of 2017. 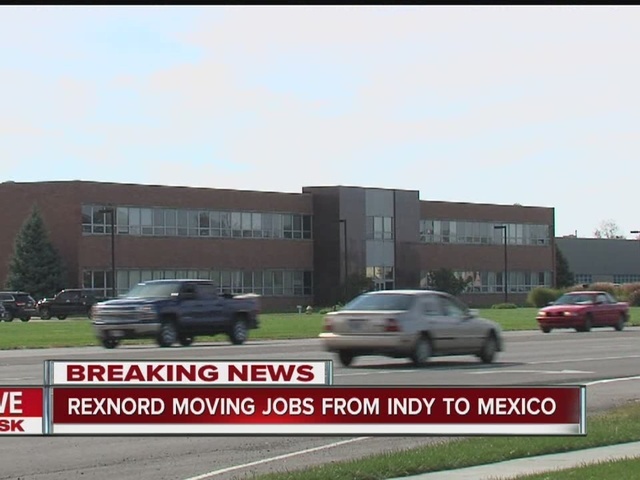 Information on the number of employees Rexnord has in Indianapolis was not immediately available. The Rexnord company recently acquired Cambridge International, a company that "designs, manufactures and services conveyor belts, mesh and filter screens used in food processing, industrial, packaging and architectural applications," according to Rexnord. Their annual profit numbers were not immediately known. Rexnord is headquartered in Milwaukee, Wisconsin, comprised of two strategic platforms, Process & Motion Control and Water Management, with approximately 7,700 employees worldwide, according to its website. Carrier announced in February that 1,400 jobs from their west-side manufacturing plant would be moving to Monterrey. A video of the announcement went viral, triggering outrage from as high up as GOP presidential candidate Donald Trump. It also became the focus of multiple Call 6 Investigations, prompting special reports. You can find all of those stories here.